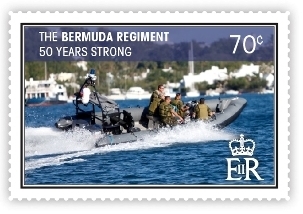 The Bermuda Regiment was formed on 1st September, 1965, and this issue of commemorative stamps celebrates 50 years of dedicated service of the men and women of the Regiment to Bermuda. The Regiment’s history dates back to an Act of Parliament in 1892 which created two segregated units; The all white Bermuda Volunteer Rifles Corps - later the Bermuda Rifles and the Bermuda Militia Artillery (BMA) comprised of black soldiers. The Regiment came about as a result of the amalgamation of these two units in 1965. 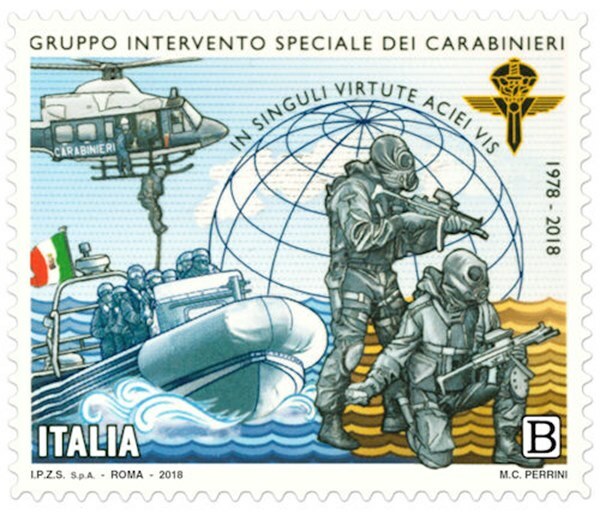 Both predecessor units had proud histories, from their founding in the late 19th Century, through active service both locally and overseas in both World Wars. For more information on the Bermuda Regiment 50th Anniversary First Day Cover please visit the BPO website http://www.bpo.bm or visit the BPO Facebook page. Bermuda 2015 70c sg?, scott?